What to do When You are About to Be Kicked Off of Your Parent's Insurance? Many college graduates are forced to find their own insurance plan by their parents’ request. When I speak of insurance, there are a few types that I believe to be necessary: health, dental, life, auto, and renters (if you are a renter) insurance. For this article I will only touch on three; health, dental, and auto insurance. It can be scary to start thinking about insurance because you are thinking about the “what ifs,” making sure you are prepared if anything bad happens. And it is always better to be safe than sorry, which is what insurance is all about. If you are nearing that time when you know you can no longer be on your parents insurance, or maybe you have been without insurance for some time, it is important to follow these steps to become a responsible, insured person. First things first, take a breather. No need to worry about the insurance as long as you have a plan. 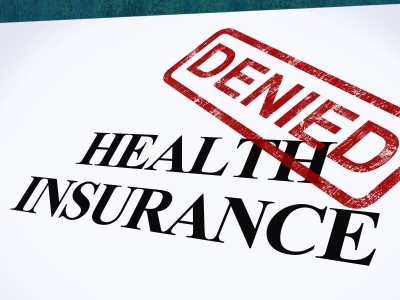 There are many options out there whether you are looking for health insurance, car insurance or even dental. Take a breath and whatever you do, don’t panic. If you are currently working, your first step should be to speak with your HR representative at your job. Ask about what type of benefits they have and if there are any stipulations on how long you have to work at a company before you can be included in the benefits. If you have been at your company for more than a year, you probably qualify. If not, see the next paragraph. If your company does not have benefits or if you are not working, than it may be time to look for an individual insurance plan. Check out the following websites to see your options for different insurance options. Health and Dental: Healthcare.gov is a website where you can learn about different health insurance providers and also get price quotes on different health care provider companies. They also have a free ebook you can check out here to learn more about healthcare terms. Auto Insurance: Auto Insurance can be a little tricky. Start looking at Progressive since they give you an overview of what you will pay for competitors as well. But for auto insurance it’s about testing some other providers and see what price and plan works best for you. Companies like Allstate, Geico, and Progressive are all about giving cash back and cool perks for safe driving and for college grads. Now that you have an idea of how much you will be paying on a monthly basis for you insurance plan, it’s time to add it to the budget. Ask yourself if there is anything else you have to cutout to make room for your new-found expense. I know there are many people who live without insurance and unfortunately for some, it ends up costing them way more for an emergency than it would have to pay a small monthly fee. Do not put yourself in a dreadful situation by not having insurance. Be smart, get insured!